Students rely on our IT lab spaces and machines to learn applicable skills that will position them to be leaders in industry. That's why we need your help to keep one of our critical pieces of equipment: the CNC mill. In 2015, the department partnered with longtime supporter Haas Automation to use a CNC mill free of cost for two years with an option to purchase after the trial period. 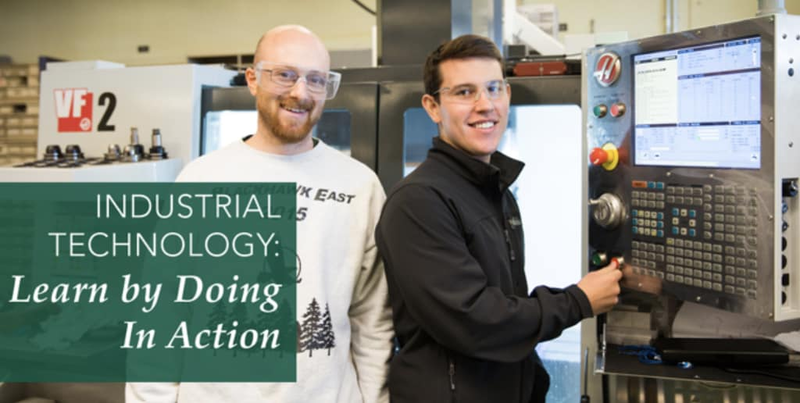 The CNC mill has been used in several capstone courses and various student projects requiring precision metal prototyping and production capabilities. After hundreds of hours of run time, and thousands of tool changes, the department has indeed validated the student need for this machine. Our faculty believe this machine is essential part of our Learn by Doing approach in the labs. However, because of budget limitations, the program must raise $50,000 to keep the CNC mill past June of 2018. 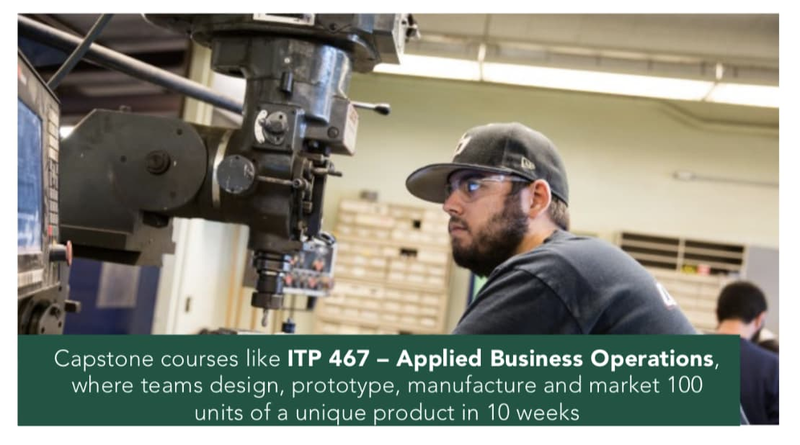 By adding a series of CNC mills, lathes, 3-D printers, and more, industrial technology students will earn more Learn by Doing experience with the same technology they’ll see in the working world. Our vision for the D-Fab Lab will enable students to take projects from computer-aided design, to 3-D prototyping, to computer-aided manufacturing, to finished products. Our IT Advisory Board has committed to matching up to $25000 of our fundraising efforts to keep this piece of equipment and support the IT Lab. For our growing programs. We are looking to our generous alumni and friends to help us reach our ultimate goal of $50,000. The initiative will ensure Cal Poly students have the right space for their hands-on labs and projects as the program continues to grow and evolve with industry. Thank you for your gift. Your support helps us get that much closer to our $50,000 goal. Thank you for your gift. Your gift helps support supplies and on-going operating costs. Thank you for your gift. To show our appreciation, we will send you a keychain made by students on the CNC Mill. Your gift supports Learn by Doing in action. Thank you for your gift. Your gift provides support and materials for students using the IT lab. To show our appreciation, a student will write you a handwritten thank-you note. We will also send you a keychain made by students on the CNC Mill. Thank you for your gift. Your gift could help support a student project. To show our appreciation, we will have our Area Chair call you and personally thank you for your contribution. We will send you a keychain made by students on the CNC Mill. Thank you for your gift. Your gift could support a student lab tech. To show our appreciation, the Dean of the Orfalea College of Business will call you and personally thank you for your contribution. We will also send you a keychain made by students on the CNC Mill. Thank you so much for your gift. Your gift has helped us reach our $50,000 goal! To show our appreciation, we will reach out and personally invite you to come back to campus and meet IT students and tour our facilities. We will also send you a keychain made by students on the CNC Mill.